I went to the beach this morning to try for an image that I 'had in my head'. This month, at camera club, the set topic is triptych. 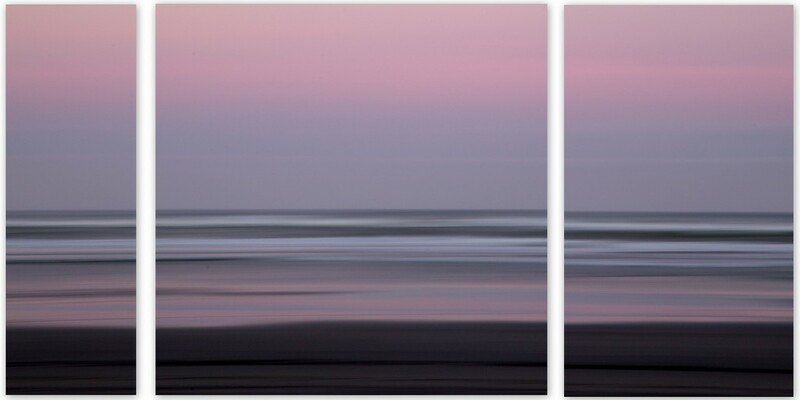 I had decided to try intentional camera movement and then convert it to a triptych. Nice combination of ICM and triptych. I think I would prefer the two outside sections being the same size though. @onewing - thanks for the idea - I might have a play around with the panel sizes. A unique triptych for sure. Lovely water and sky colors. Beautifully matched triptychs Dianne, not as easy as it looks to do this & matching the lines up perfectly. This is lovely, beautiful tones. @golftragic hopefully the judge will think the same! @dide I should hope so. I really like the photo, and the uneven sizes in the 3 pieces.